We have gone through loads of premium themes to come up with an awesome curated list of the best WordPress themes for NGOs and Non-profit organizations based on all the necessary features required. 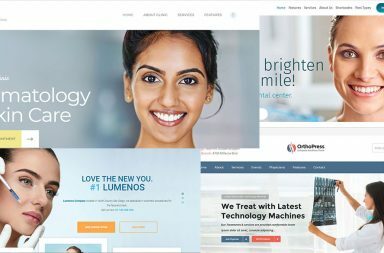 This blog contains few of the best Premium WordPress Themes related to the domains like environment, charity, donation, campaigns, fund-raising, welfare, etc. Most of these themes are extremely customizable and can be used under multiple categories for serving all your social welfare needs. We tried to make the list diverse as to cover all kinds of social work and non-profit work for small as well as a big NGO / Non-profit organisation which needs a modern website. So curating this list really gives us a joy of making sure people get the best out of WordPress and also put it less money to get the most premium themes in one place. Eco Nature theme is great for the NGOs working to save nature or any non-profit organisation who are related to environment based social causes. Unlimited number of designs can be created… thanks to its flexible & customisable design, settings, and multiple shortcode options. DonateNow theme is best for any organization looking for a donation or for some kind of charity work. The website looks attractive and has all the components one might need to run charity or donation campaign. Clean and elegant theme developed mainly for NGO’s and non-profit organizations. This theme is best for both from small to the large organization as it is very easy to setup according to your needs. This theme has some feature that can be used with other themes also so that in future if you want some feature to be in your next project that will easy. Eco Recycling theme is mainly used for ecology and recycling projects. It has different and unique page layouts. It is suitable for any agency or individual who wants to use the recycled products or are making one. HelpingHands theme is a powerful responsive charity/donations/foundation/fundraising premium WordPress theme jam-packed with features designed for Charity, Church, NGO, Fundraising and more. This theme is mainly designed for NGO’s and non-profit organizations. Any type of payment option can be used to support all of them. Animal Care theme is mainly focused on the Animal care means if you are in the NGO or non-profitable organization who deals with animals this theme is for you. This theme will provide you all you need to manage information about animals online of adoption, taking care of them or collecting some donation. Charity Themes is perfectly built WordPress themes for NGOs, charity, non-profit and donation campaign with outstanding and amazing features. 2016 best-selling Charity WordPress theme. More than 11,000 customers. With Hope theme, you can promote an event, charities, and fundraisers. This theme can help you in growing your organization and make your online presence much stronger than before. InCharity WordPress theme is best for NGOs, Charity, Fundraising and Non-profit organizations. It is designed for an organization who wants to target young and modern people. It has all the functionality that a WordPress charity themes should have with the modern touch.